Thanks to Ivan, Anon and Phun for the heads up. Thanks to LI for the heads up. LYNDA CARTER RETURNS AS PRESIDENT MARSDIN; KEVIN SMITH DIRECTS – A large bounty is put out on Supergirl (Melissa Benoist) and aliens from far and near attack National City intent on taking out the woman of steel. 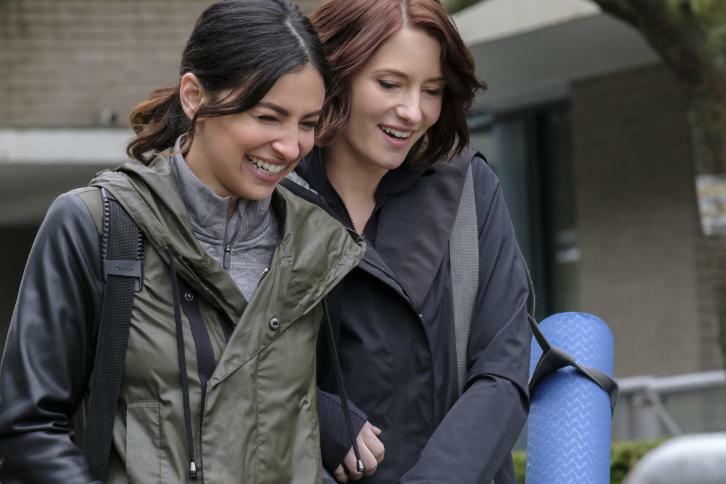 Alex (Chyler Leigh) and Maggie (Floriana Lima) run into Maggie’s ex-girlfriend, Emily (guest star Hayley Sales), who is in town for a week. Hank (David Harewood) gets an interesting order from President Marsdin (guest star Lynda Carter). Kevin Smith directed the episode written by Gabriel Llanas & Anna Musky-Goldwyn (#217). Original airdate 3/27/2017.